We only have 12 days left to gather comments to convince NOAA to remove the preemption language from the implementing rules for the Shark Conservation Act. This language would overturn the shark fin trade bans in California, Deleware, Hawaii, Illinois, Maryland, Oregon, Washington, American Samoa, Guam, and the Northern Mariana Islands. Since we alerted you to this threat we have asked you to sign the petitions of the Pew Charitable Trusts, Humane Society International, and Oceana. We have also given you tips on writing a comment letter. Now we want you to sign Earthjustice's petition. The video embedded above, Sharkwater Saipan, tells the story of the passage of the shark fin trade ban in the Northern Mariana Islands. Unless the preemption language is removed, the effort of the kids in this video will have been for naught. Three fishing vessels originating from Indonesia were recently captured by Palau authorities for illegally fishing in Palau's waters. Last week, Palau marine law officers on board the HSS Remeliik seized three Indonesian fishing vessels for reportedly fishing in its waters without a valid permit. The vessels were reportedly found navigating Palau's waters on June 22nd. A case was filed in the Supreme Court against captains and fishermen of the vessels. According to reports, Palauan authorities seized the vessels including four tons of fresh catch and equipment on board. The Republic is demanding judgment condemning and forfeiting the vessels, fishing gears, cargo and fish catch. A trial has not yet been set for this case. In past cases, the vessels and their crew found illegally fishing in Palau's waters were released upon paying a hefty fine. Leaders from a dozen countries, states, and U.S. territories across the Pacific Ocean are calling for oceanwide protections for sharks—a move that underscores a growing commitment to ending unsustainable shark fishing in the region. The resolution requests that all Pacific Island jurisdictions end the unsustainable commercial fishing of sharks by establishing a Pacific Islands regional shark sanctuary. The sanctuary would extend from Palau to Hawaii in the north and New Caledonia to French Polynesia in the south, encompassing nearly one-quarter of the Earth’s surface. The area would serve as a haven for multiple species of threatened or endangered sharks such as hammerhead and oceanic whitetip. 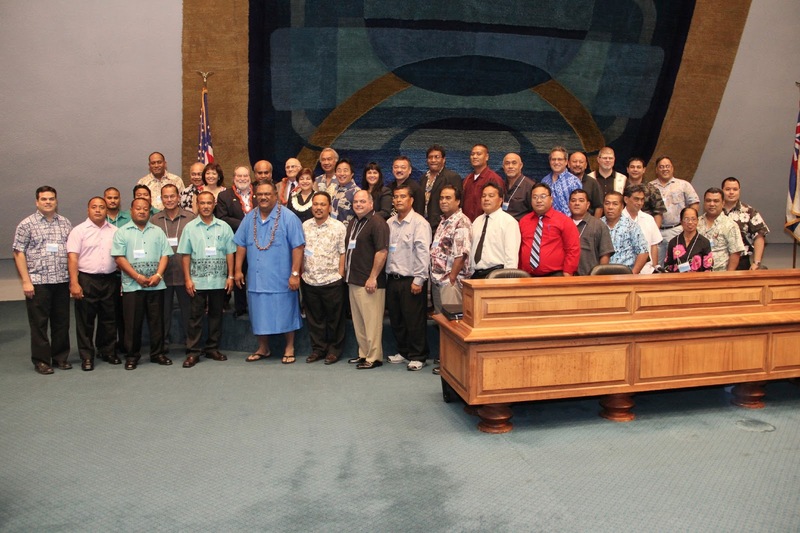 Members of APIL in the Hawaii Senate Chamber. The leaders approved the resolution during the general assembly of the Association of Pacific Island Legislatures, or APIL, in Honolulu on June 27, 2013. So far, six Pacific countries and U.S. territories have declared sanctuaries throughout 4.2 million square miles of water where commercial shark fishing is banned. The resolution asks more Pacific leaders to join the effort and calls for nations to collaborate on sanctuary best practices, including enforcement, research, education, and policies. The resolution also explicitly opposes an Obama administration proposal to backtrack on shark conservation progress in 10 U.S. states and territories that ban the sale, trade, and possession of shark fins. The National Oceanic and Atmospheric Administration has proposed rules that would essentially overturn these local laws, arguing that they may conflict with federal law because they interfere with fishing in U.S. waters. Shark advocates are working to change these proposed rules. Speaker Judi Won Pat, Senator Rory Respicio, and Carlotta Leon Guerrero. 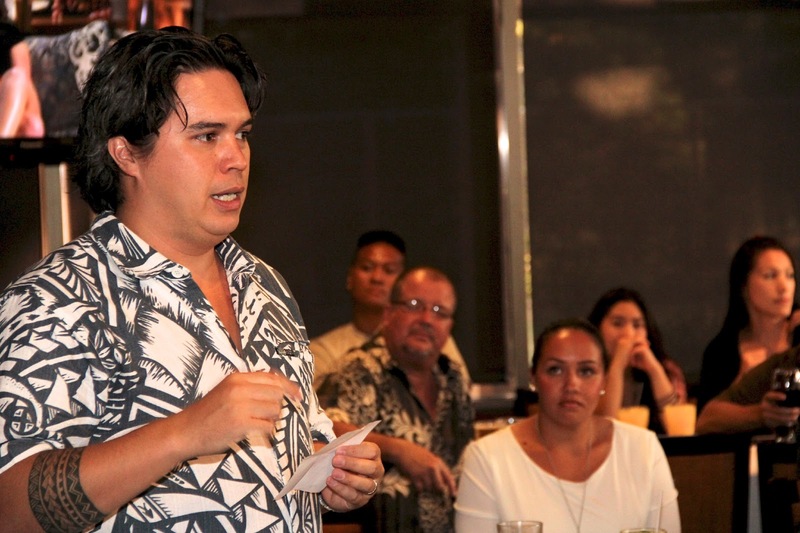 The proposal for Pacific protections follows conservation action by Lt. Gov. Anthony Tareq of Yap and Gov. John Ehsa of Pohnpei, who recently signed into law protections that will end shark fishing and the trade of shark fins in their states. Yap and Pohnpei are members of the Federated States of Micronesia along with Chuuk and Kosrae. The APIL is composed of American Samoa, Commonwealth of the Northern Mariana Islands, Island of Guam, Republic of the Marshall Islands, Republic of Palau, the U.S. state of Hawaii, Republic of Nauru, Republic of Kiribati, and the Federated States of Micronesia. Angelo Villagomez gives a presentation during APIL. The need to protect sharks is growing more urgent because an average of 100 million sharks are killed each year, mostly to provide fins as soup ingredients for Asian markets. Sharks are slow-growing, late to mature, and have few pups. They cannot reproduce fast enough to keep up with fishing rates; a third of all shark species are headed for extinction. Oceana has written a blog about Leah's experience with CITES and Shark Stanley. 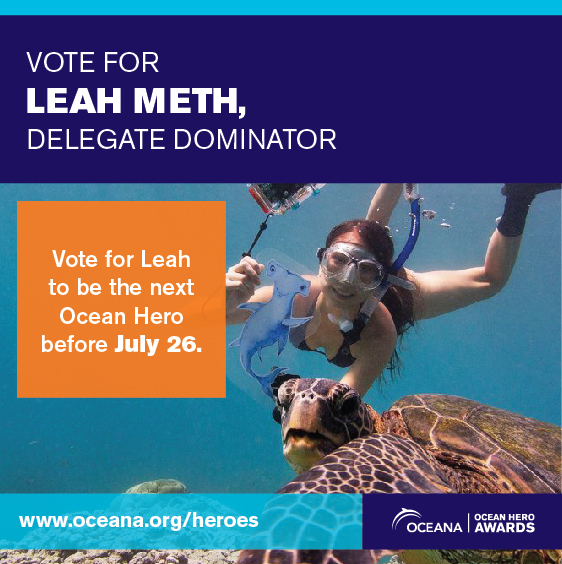 We hope that you'll take a moment and vote for Leah Meth to win an Ocean Hero award. The Shark Conservation Act closes loopholes in the U.S. finning law by requiring that all sharks be landed with their fins naturally attached. It amends the Magnuson-Stevens Act, the law that manages fishing in US waters. The state laws are more restrictive than the federal law, but have nothing to do with finning. Although there are exceptions, the state laws ban the sale, trade, and possession of shark fin. The federal government is proposing that the federal rules implementing the shark finning ban overturn the state bans on the sale, trade, and possession of shark fin. A search of the Internet this morning discovered that the U.S. federal government has started posting the comments concerning the implementation of the Shark Conservation Act online. Mostly the comments are made by everyday activists, but some are from government officials and shark conservation organizations. As of this writing, 2,188 comments have been posted. This is in addition to the 100,000 comments collected collectively by the Pew Charitable Trusts, Oceana, and Humane Society International (which will be submitted on the day of the deadline). We encourage you to sign all three organization’s well-written and effective petitions. Other organizations have encouraged their supporters to comment directly using the government’s website. We do not encourage our supporters to comment on the government’s website because it has been our experience that these comments are often unhelpful, wrong, and ultimately a waste of your time. We want you to participate in this process, but we also want to make sure your voice is asking for the right thing. If your comment does not use the proper language, your voice will be heard, but it won’t help. We have previously explained how to write a comment letter by providing the example of 8-year old Nick Silverstein’s letter. In three simple paragraphs Nick (1) introduces himself and explains why the President should listen to him, (2) gives some background information on the issue, and (3) makes a specific ask on how to amend the proposed regulations. Nick has an understanding of the issues at hand and does not confuse “shark finning” and the “shark fin trade.” Nick's letter is also handwritten and contained to a single page, which is preferable. Many of the comments submitted to the government so far are problematic. We did a quick assessment of the 10 most recent comments posted and found that only 2 (but really only one) of them were actually helpful for preventing NOAA from overturning the state laws. (It is worth noting, however, that despite most comments being unhelpful, they were all at least supportive of our cause). The best way for you to comment is to sign the petitions of the Pew Charitable Trusts, Oceana, and Humane Society International. Individual letters are also helpful, but only if they are factual, to the point, and make the proper specific ask. We are shark nerds and we can help you. Email us at info@sharkdefenders.com. The deadline to submit comments is July 31. This comment is not helpful. This has nothing to do with this particular issue. Not helpful. SCA will be enacted, the question is how it will it be enacted. The first sentence in this comment is false. The rest isn’t specific enough to be of any use. This comment is not helpful because it only references shark finning, not the preemption of the state trade bans. It also suggests that sharks would be a sustainable food source if they weren't finned, which is a controversial statement. This comment is not helpful because it confuses finning and the state trade bans. This is a decent comment, but it doesn’t get into specifics. This is almost useable, but California does not ban shark finning. The federal law does that. California bans the shark fin trade. This comment started off well, but implodes halfway through. California’s law doesn’t ban finning; it bans trade. The ask in this comment is correct, but the supporting information is false. The rule would not open California up to shark finning. Islands Business reports that unless Kiribati closes 25% of the Phoenix Islands Protected Area (PIPA) to fishing by the end of 2014, UNESCO will strip the country of its World Heritage site status. Currently only 3% of PIPA is closed to fishing. A decade ago, Gregory Stone and a group of coral reef ecologists suggested to Kiribati’s leadership that the long-ignored Phoenix Islands were a treasure that could bring the country prestige and tourism as a world-class marine protected area. But President Anote Tong said closing it to commercial tuna fishing would cost Kiribati millions of dollars that would have to be compensated by creating a trust fund. Stone, today the senior vice president and chief scientist for oceans of one of the world’s biggest conservation organisations, Conservation International (CI), went along. But negotiations on the level of compensation dragged on and are still dragging on, with no agreement in sight. “We’re still deciding what the compensation level should be,” Tong said in a recent interview in Tarawa. So far, fishing is banned only in the parts around the islands where no fishing was taking place anyway, a total of three percent of the Phoenix Islands Protected Area (PIPA), as the management plan available at phoenixislands.org details. 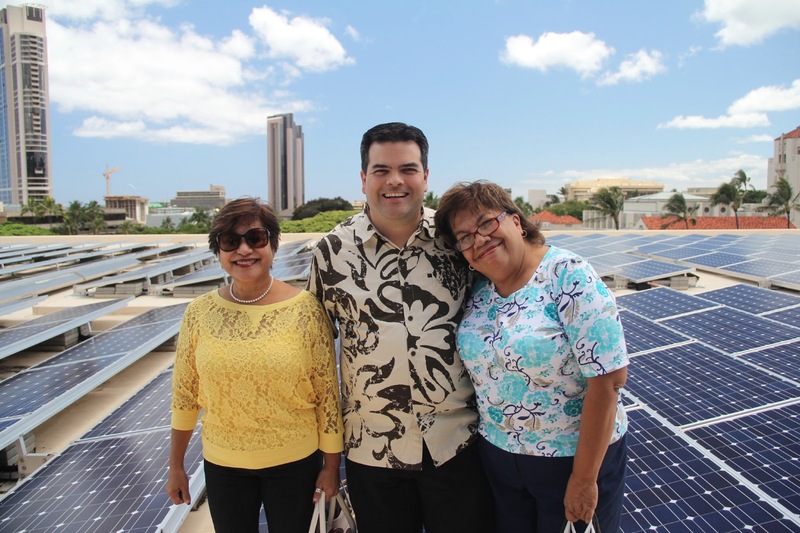 Tong didn’t set a new price tag for closing the whole reserve, but the previous one was $50 million for the PIPA trust fund. So far, the fund is still empty. Under the current management plan, unless CI raises $13.5 million by the end of next year and Kiribati closes off an additional 25 percent to fishing, PIPA risks losing its prestigious designation as a UNESCO World Heritage site, the world’s largest. Congressman Jared Huffman (D-San Rafael) today led a bipartisan congressional letter to the National Oceanic and Atmospheric Administration urging the agency to revise a proposed rule that could undermine state bans on buying or selling shark fins. Huffman’s letter was cosigned by 61 Members of Congress, and is supported by 18 prominent and national conservation organizations, including Oceana and the Humane Society of the United States. Shark finning is a major contributor to the accelerating decline in global shark populations. Experts estimate that between 26 and 73 million sharks are killed every year to supply the global demand for shark fins. As a state legislator, Huffman was the author of a landmark bill that bans the sale, trade, and possession of shark fins in California, one of the state and territorial laws that would be undermined by the proposed federal rule. Organizations endorsing this letter include: Oceana, Shark Savers, Sierra Club, League of Conservation Voters (LCV), National Resources Defense Council (NRDC), Humane Society of the United States, Humane Society Legislative Fund, Humane Society International, The Pew Charitable Trusts, The Center for Oceanic Awareness, Research, and Education (COARE), Monterey Bay Aquarium, National Aquarium, Animal Welfare Institute, American Society for the Prevention of Cruelty to Animals (ASPCA), International Fund for Animal Welfare (IFAW), Marine Conservation Institute, WildAid, and EarthJustice. Canada has taken reservations on the new shark and manta ray listings at the Convention on the International Trade in Endangered Species of Wild Fauna and Flora (CITES). According to the CITES Secretariat, Canada "entered a reservation with respect to all amendments to Appendices I and II of the the Convention adopted at CoP16, owing to the necessity to complete its domestic legal requirements for the entry into force of these amendments." "Of Shark and Man" Teaser Trailer 2 from Scarlet View Media on Vimeo. David Diley just released the latest trailer for his film Of Shark and Man. David is going to be the next big thing. Keep an eye on him. Requests from the Pew Charitable Trusts, Humane Society International, Delegate Madeleine Bordallo of Guam, and Hawaii State Senator Clayton Hee have resulted in an extension of the comment period for the proposed federal rule that would overturn the state and territory shark fin trade bans. The new deadline is July 31. The National Oceanic and Atmospheric Administration is proposing a rule implementing the Shark Conservation Act of 2010 that, if approved as is, has the potential to overturn the shark protections passed by California, Delaware, Hawaii, Illinois, Maryland, Oregon, Washington state, American Samoa, Guam, and the Northern Mariana Islands. The Shark Conservation Act of 2010 closed loopholes in the previous U.S. shark finning law by requiring that sharks be landed at port with their fins naturally attached to their bodies. To further protect sharks, some states and territories passed additional legislation. In most locations, these measures ban the possession, sale, and trade of shark fins. Implementing the provisions of the Shark Conservation Act should not be used to overturn state laws that are more protective than federal law. How Much Fishing Goes On in the Phoenix Islands Protected Area? According to Radio New Zealand, the director of Kiribati’s huge Phoenix Islands Protected Area, or PIPA, has denied reports that most of the marine reserve is being fished by foreign fishing vessels. In the last few weeks several news outlets have reported that 97% of PIPA is being fished. Every year member countries of the Western and Central Pacific Fisheries Commission, or WCPFC, the international body that manages fisheries in the Western and Central Pacific Ocean, submit reports on the fishing going on in their countries. As a member, Kiribati is required to submit one of these reports. All of the reports can be found online. Here is the report from 2012. Each of the circles on the map represents an area that is being fished. The color shows the species being caught. The larger the circle, the more fish are being caught. Page 5 shows that there was considerable amounts of longline fishing going on in the Phoenix Islands. Page 7 shows that purse seiners heavily fished the area 2009-2011. The reports that PIPA is fished are true. THERE is a celebration of machoism and cruelty when a shark is landed alive on the deck of a tuna fishing boat. Kaiafa Ledua, a former shark fisherman who has become an advocate for shark protection, said killing the shark as it thrashed about on the deck brought out the worst in a person at sea. "In hindsight now, all that frenzy around that shark is actually very cruel. We'd cheer and shout as we'd stab the animal in its side," said Mr Ledua, who became a shark advocate while on the Uto Ni Yalo's epic voyages. Mr Ledua said as far as fishermen on tuna boats were concerned, sharks were a targeted fisheries, not a bycatch as tuna boat operators claim. He said the Chinese boat operators he used to work for would offer A-grade tuna meant for export as shark bait. "The more sharks you caught, the ace fisherman you'd become in their eyes, the more money we took home. What we earned from shark fins was triple what we took home as wages. "If you dropped a shark, you'd be put off a boat. "When you land a shark, you're a hero. Us Fijian fishermen would get sucked into this killing frenzy and get psyched up for the next kill. When I look back now with my better understanding of sharks, it is a painful memory. Such cruelty." Mr Ledua now tells anyone who'd listen that the world depends on this ancient predator whose population in Fiji is fast being threatened by overfishing. He said about 50 per cent of the world's oxygen was created by phytoplankton, tiny organisms that produces chlorophyll, in the ocean. Those same phytoplankton, he added, are also absorbing a lot of the carbon dioxide that "we are emitting into the atmosphere". "Sharks feed on fish that eat the plankton and keep the organisms' numbers high, allowing them to contribute to our oxygen supply*." Without sharks to act as population control, Mr Ledua said the plankton-eating species would deplete "this resource". He said while sharks were important for this reason, they were worth more alive than dead. "Our tourists come here for our healthy ocean. Why would they come if we kill all our sharks and destroy our marine ecosystem." Published in the Fiji Times on July 1, 2013. *This statement is false. There are no links between sharks and oxygen.